Published by webmaster March 19th, 2013	in News. 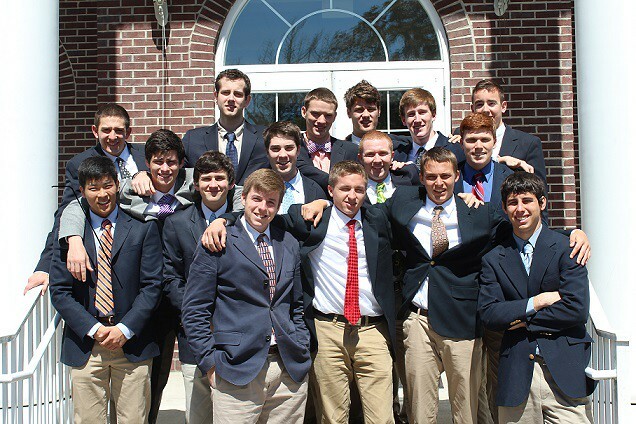 This past Saturday, on March 16th, we were happy to initiate 17 new brothers into our chapter. Congratulations to Jordan Bennett, Chris Cerjan, Travis Coan, Corey Craig, Joe Dunham, Hayden Holland, Challen Hyman, Ian Malone, Ben Paddock, Matt Pasik, Matt Staggs, Scott Steckroth, Erick Stein, Kevin Tragesser, Blake Wagner, John Winter, and Ivan Yim! These men worked hard throughout their pledgeship, and we’re honored to have them as a part of our brotherhood.